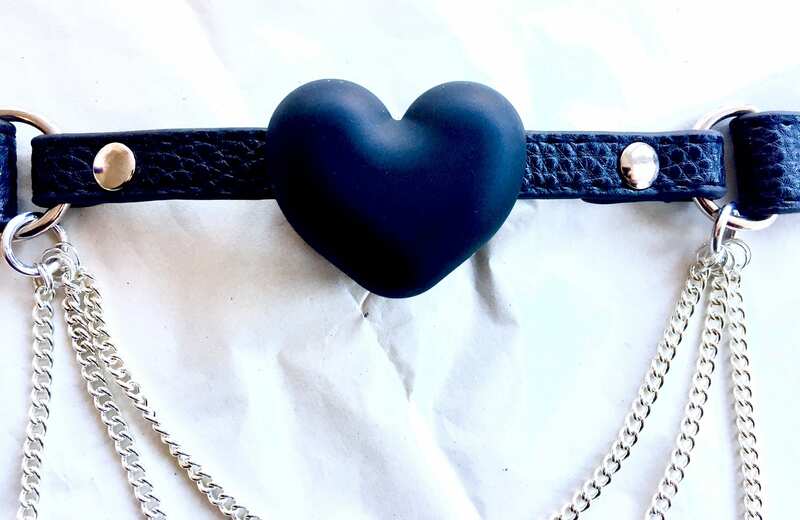 A black vegan leather gag with sterling silver plated chain. This also functions as a choker or necklace for every day use. All items come gift wrapped with satin ribbon and acid free tissue paper.